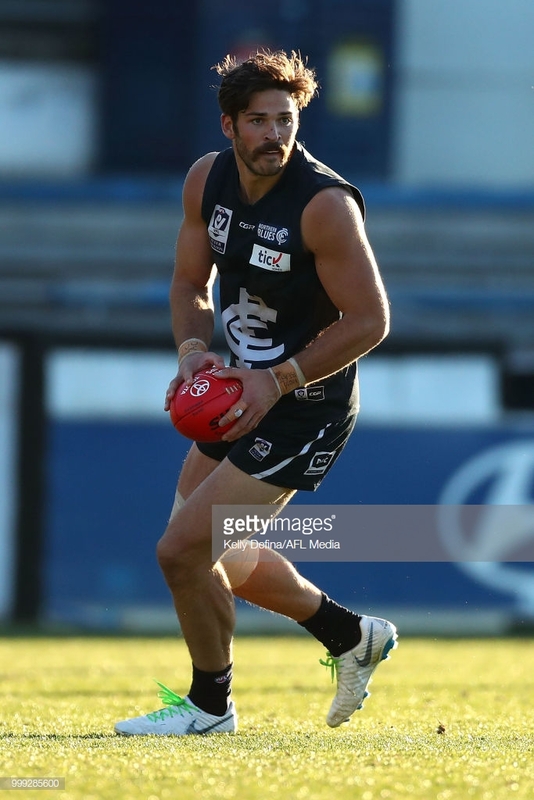 Sam Lloyd (FWD, $449K) was huge with 152 points, from 37 touches and a goal. Tyson Stengle (FWD, $222K) required 6 goals for his 138. Deadeye Jacob Townsend (FWD, $369K) was good as well with 23 touches, 6 marks and 2 goals for 119 points. He could come in after the Tigers kicked 17 points on the weekend. Pat Naish (FWD/MID, $204K) was solid as well with 26 touches and a goal for 99 points. He is getting closer to a debut. Brayden Preuss (RUC, $445K) continues to star in the VFL after having 43 hitouts and kicking a goal for 109 points. He could get a single game if Goldstein gets rested at some stage, but Goldy is in almost career best form. Will Walker (MID, $226K) is getting closer to a debut, after having 15 touches and a goal for 79 points. Tough to see him getting a game this late in the year with finals nearing, unless an injury occurs. Not much happened down in Kangaroo territory. Dylan Clarke (MID/FWD, $181K) was great with 19 touches and 15 tackles for 136 points. He was on 22 points at half time and really got going in the second half. Kobe Mutch (MID, $265K) was good as well with 104 points from 22 touches and 7 tackles. James Stewart (DEF, $402K) was good with 26 touches and 13 marks for 136 points. He kicked 3.4. Jordan Ridley (DEF, $256K) was poor with 5 disposals and only 31 points. Harry Jones (MID, $170K) was solid with 26 touches, 7 marks and a goal for 105 points. He probably won’t get a game but was good on the weekend. James Worpel (MID, $212K) was good as well with 34 touches and a goal for 105 points. Mitch Lewis (FWD, $173K) was good down forward with 3 goals and 10 marks for 101 points. He could get another game at some stage unless an injury occurs. David Mirra (DEF, $351K) was solid in defence with 22 touches, 21 of which were kicks, and 9 marks for 93 points. Kieron Lovell (MID, $210K) was very disappointing with 6 touches and 18 points. Corey Wagner (DEF, $431K) was huge with 25 touches and 17 tackles, he scored the same amount of points as Brodie Grundy from tackles alone! He finished on 149 points. Dom Tyson (MID, $512K) was good as well with 25 touches and 12 tackles for 121 points and surely is getting closer to a return. Tim Smith (FWD, $353K) didn’t do too much and had 9 touches and a goal for 57 points. Callum Porter (MID, $170K) was solid with 95 points from 19 touches, 9 tackles, and a goal. 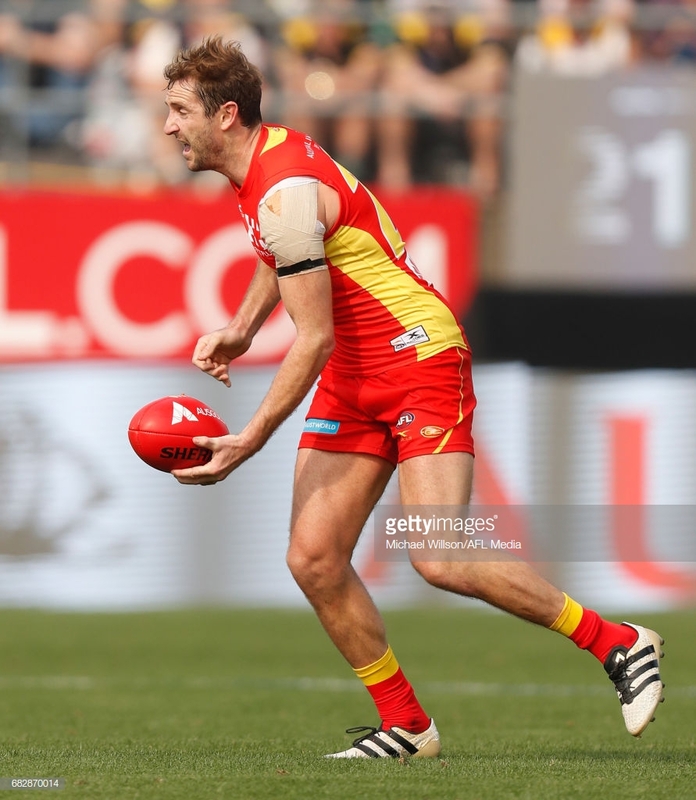 Tim English (RUC/FWD, $425K) was good and is nearing a return after his injury. He had 37 hitouts and 4 tackles for 76 points. Very quiet in the Bulldogs reserves. Ben Paton (DEF, $180K) was the top scorer with 127 points. He had 20 touches, 2 goals, and 14 tackles. Blake Acres (FWD/MID, $584K) was very good and is every chance to come in this week. He had 24 touches and 9 tackles for 113 points. He’s had two games in the reserves and is likely to come in soon. Nathan Freeman (MID, $170K) was very good and is a good chance to get a game before the end of the year. He had 23 touches, 7 marks and 5 tackles for 100 points. If he does come in, it will be like Harley Bennell from last year, playing limited TOG. Nick Coffield (MID/DEF, $363K) was decent with 75 points. Charlie Constable (MID, $200K) was great with 33 touches, 8 marks, 6 tackles and a goal for 134 points. He probably won’t be able to squeeze into the Geelong midfield. Jordan Cunico (MID, $463K) had 25 touches and 7 marks for 99 points. We could see him again but Scott Selwood is ahead of him at the moment. Ryan Abbott (RUC, $170K) appeared to be playing last week by all reports but didn’t get named. He had 31 hitouts, 11 touches, and a goal. He could get a game within the next couple of weeks. Nick Graham (MID/FWD, $489K) continues his amazing VFL form after having 33 touches and 2 goals for 124 points. He can never produce these numbers at AFL level so isn’t an option if he gets a game. Cam O’Shea (DEF, $338K) was decent with 21 touches and 4 marks for 75 points. It will be hard for him to get another game. Levi Casbolt (RUC/FWD, $380K) was okay, with 10 touches and 7 marks for 57 points. With Kreuzer and Phillips injured, he could come in this week. Jacob Allison (MID, $389K) was good with 33 touches and a goal for 116 points. Ben Keays (FWD, $437K) was good as per usual with 30 touches and a goal, racking up 107 points. He averages 106 in the NEAFL this year. Corey Lyons (MID, $170K) must be getting close to a debut, after having 25 touches and 7 marks for 107 points. He’s a mature aged midfielder averaging 24 touches and 7 marks for 106 points. Matthew Flynn (FWD/RUC, $170K) was good for the second week in a row after having 49 hitouts and picking a goal for 110 points. Tim Mohr (DEF, $231K) was solid with 25 touches and 11 marks for 108 points. Brett Deledio (FWD, $591K) made his return form injury in fine fashion, with 32 touches ad 5 tackles for 107 points. He averages 91 this year and 113 in his last 3. Nick Shipley (MID, $170K) was okay with 18 touches and a goal. Well, the Suns reserves had almost half of their senior team playing, a nd could probably put up a decent fight again them. Fiorini, Barlow, Hanley, Kolodjashnij and Lonargan all played, just to name a Michael Barlow (MID/FWD, $654K) was humongous, with 44 touches, 9 marks and 6 tackles for 159 points. Fellow Sun Brayden Fiorini (MID, $602K) was also grea with 36 touches, 2 goals, 8 marks and 11 tackles for 168 points. Once he solidifies his spot, he will be a viable option. Kade Kolodjashnij (DEF, $562K) was good as wet with 23 touches and 6 marks for 96 points. Dropped rookie Jordan Dawson (MID, $196K) was very good with 29 touches and 6 tackles for 113 points. 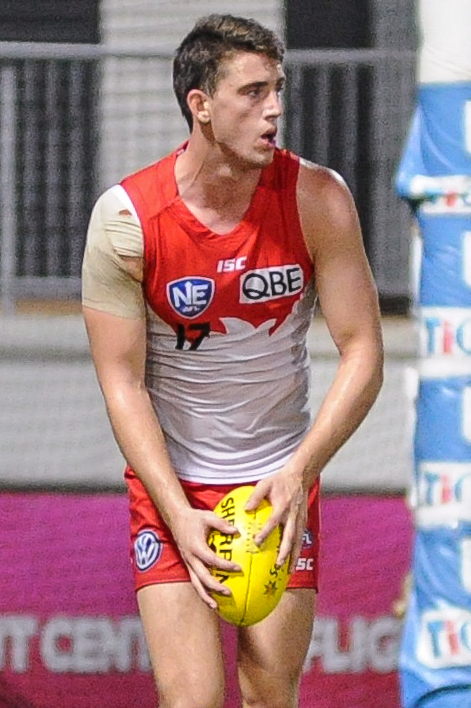 Pearce Hanley (DEF/MID, $479K) made his return as well and had 31 touches for 87 points. Darcy Cameron (RUC, $170K) is just teasing us all now. He had 43 hitouts, 28 disposals, 3 goals, 10 marks and 5 tackles, accumulating 181 fantasy points. He averages 132 points in the NEAFL and still can’t get a game. Jordan Foote (MID/FWD, $257K) also had a good game with 33 touches, 3 goals, 10 marks, 7 tackles and 161 points. Jordan Dawson (FWD/MID, $254K) was good as well with 29 touches, 10 tackles and a goal for 135 points. Some may remember how huge his numbers were last year, he could be a basement priced option next year. Danyle Pearce (FWD, $478K) was one of the best again with 34 touches and a goal for 116 points. I don’t think he will get another game, other than his ‘farewell’ game that Ross Lyon was talking about. Mitch Crowden (FWD/MID, $270K) has some very up and down WAFL form, but was good on the weekend, and had 20 touches, 7 marks, 5 tackles and a goal for 104 points. Luke Strnadica (RUC, $170K) made the most of Sean Darcy playing AFL, and had 28 hitouts, 14 touches, 6 marks and a goal for 101 points. Harley Bennell (FWD, $249K) was solid again with 19 touches and a goal for 73 points, but Lyon said he will ‘wait a couple of more weeks’ before getting another game. Dom Sheed (MID, $499K) was huge with 37 touches and a goal for 126 points. Nathan Vardy (RUC, $440K) was great with 66 hitouts and a goal for 116 points and could come in for Nic Nat this week. 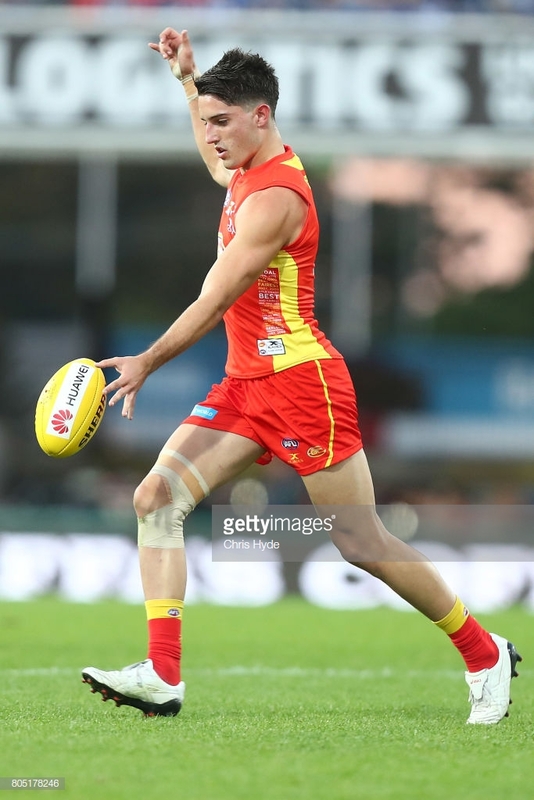 Hamish Brayshaw (MID, $170K) was very good with 25 touches, 7 tackles and 2 goals for 113 points. I can’t see him getting a game this year. Oscar Allen (FWD, $231K) was dropped and only managed 10 touches for 46 points. He probably won’t get another game unless an injury occurs. Liam Ryan (FWD, $345K) was very good with 3 goals and 7 tackles for 70 points. 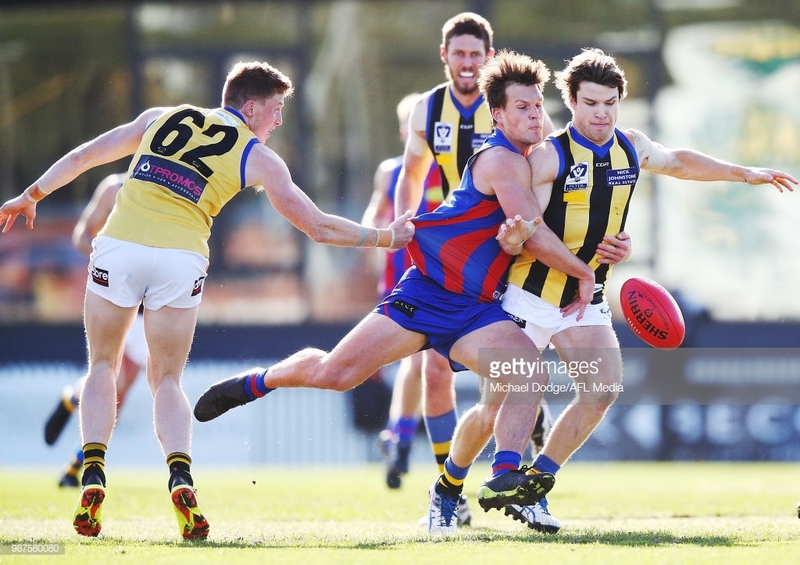 Patrick Wilson (MID/FWD, $185K) was very good with 32 touches, 9 marks, 6 tackles and a goal for 142 points. Cam Ellis-Yolmen (MID, $526K) was good as well with 25 touches and 2 goals for 113 points. Darcy Fogarty (FWD/MID, $266K) was quite good with 3 goals and 7 marks for 89 points. The only way he will get another game is through injury. Jack Trengove (MID, $422K) was dropped but barely did anything wrong. He was solid with 26 touches and 8 tackles for 103 points. William Frampton (RUC/FWD, $170K) was good as well with 26 hitouts and 9 touches for 72 points. He would be the ideal replacement for Ryder but Port just can’t seem to give him a crack. Obviously, I think there are some senior players who will play this week, such as Vardy and/or Fiorini, but they aren’t really fantasy relevant. There aren’t many rookies knocking on the door this week. Feel free to leave questions below! Talk that Lienert may debut for Port Adelaide and if he does would you bring him in or Alex Morgan for a bench spot? Would be my D8. Morgan was good but has pretty shakey JS. I haven’t heard much about this guy though. Looking at his numbers, he’s averaging 85 points, from 21 touches and 8 marks in the SANFL. He’s 23, and a tall defender. I’d prefer to wait a week on Lienart, and if Morgan is named this week then I’d probably go him. Thanks Ben, always enjoy your articles and appreciate your advice.